This add-on will help you and your customers do more with shortcodes on Sendroid Ultimate by adding the capability to set callback actions for each shortcode. Just like you have on Twilio and other big 2-way messaging platforms, you can set callback URL with custom request options for each shortcode and the module will automatically push incoming messages on it to the URL. You can also set the module to forward incoming messages on each shortcode to defined email address or set of email addresses. 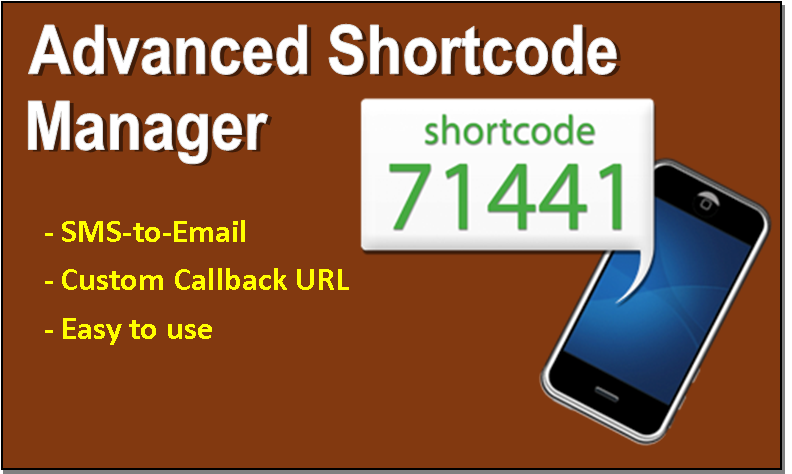 Once enabled, this add-on will be accessible from Extras -> Advanced Shortcode Manager.